Drowned in Carrick-on-Shannon, while on sentry duty. 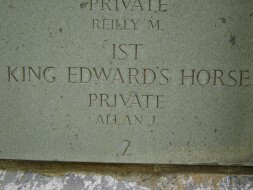 Trooper Allan enlisted in the Household Cavalry in London; he died close to the bridge in Carrick-on-Shannon, in a drowning accident. At the time Allan was in Carrick as part of a flying column from Longford barracks like for the purpose of investigating and arresting potential rebels after the Easter Rising, as similar flying columns were in operation in May 1916 in Longford. When Allan died, he was on night-time sentry duty and appeared to have slipped and fell into the river at around midnight on the 14 May. An inquest was held and there was no evidence of a struggle, injuries on the soldier's body consistent with an attack or other foul play noted. His brothers, William and David were listed as his next-of-kin. It was noted that he had taken alcohol. It was noted that he had arrived in Carrick for the first time that day (Sunday) and was unfamiliar with the town and the river. On his death the Leitrim Observer (20 May 1916) wrote an extensive account of the accident and inquest, including the post mortem, (partial link below: full accunt available on the Irish Newspaper Archive), including the nature of how the soldiers were fed and a recommendation by the court to the Carrick-on-Shannon Commissioners to erect a chain at the dock to prevent similar accidents: the Leitrim Observer themselves recommended chains on the dock wall to provide a hand-grip for any person unfortunate to fall in. 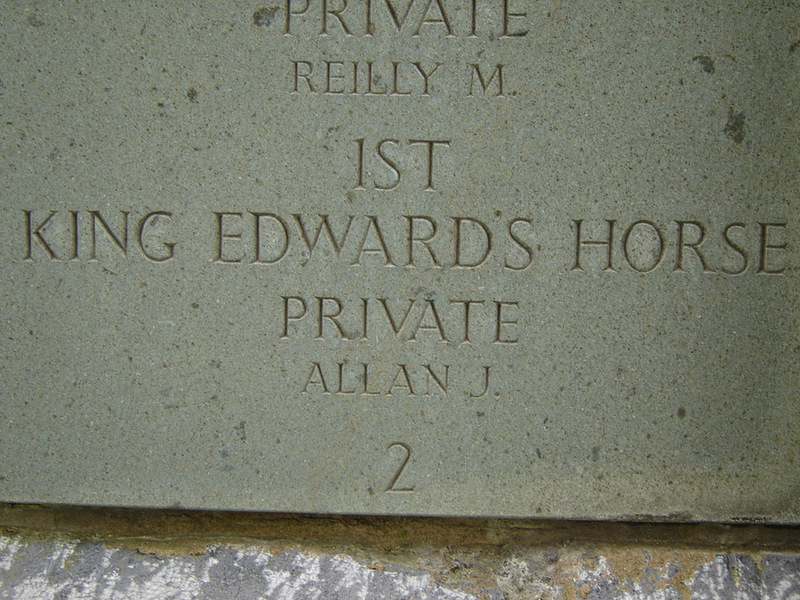 The website KingEdwardsHorse.net has the following note on Pte Allan: "...During the Sinn Fein Rebellion 1916; "The only casualty was Private J. Allan, who while on the Flying Column, when on night sentry, fell into the river Shannon and was drowned. A coroner's jury returned a verdict of death by misadventure; but the suspicion will always remain that there was something vindictive behind this misadventure". However there is no other source attributed to this. *. **This edition will be of note to those interested in the Longford participants in the Easter Rising, as mention is made of Tom Bannon, Frank McGuinness, Paul Cusack and John Cawley.